Heard about Caribou Coffee? If not yet, then you might not be a coffee addict. Caribou Coffee is one of worldly known coffee shop with corporate headquarters in Minneapolis metropolitan area. The company was founded by the newlyweds John and Kim Puckett and since its opening, the Caribou chain has expanded to about 415 locations in fifteen states in the US. This degree of expansion is what actually makes the company second to the largest operator of non-franchised coffee shops in the United States. Now what makes Caribou Coffee best? There are a lot of factors that make Caribou coffee one of the best. Included in the list are the company’s dedication and the production. Caribou Coffee is in the first place highly dedicated to providing the best in quality and taste coffee. An evidence for this commitment is their partnership with the Rainforest Alliance, as well as its participation on the Specialty Coffee Association of America’s Producer Support Fund in which Caribou volunteer itself as one of the sponsors. According to certain reports, Caribou has donated at the highest level to the fund founded by the SCAA to help growers of delicate coffee who do not have the funds to take part on the meetings and functions of the SCAA. All of the company’s hard work and efforts are exerted just to provide the public the best coffee possible. 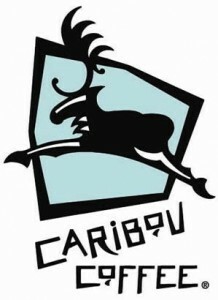 In terms of production, the Caribou coffee is treated with the best care. The company has placed special attention to selecting the best green beans, and even to creating the blends. The way they roast the coffee beans also play a great part in making the Caribou coffee one of a kind. And, much to your surprise, this company accepts only the highest in quality coffee beans and they employ the highest standards in the coffee industry regardless of the overheads. Today, Caribou Coffee offers only the best in taste coffees. All of their products are named after the country where the coffees were grown. There are also some products that bear names that are made up of a number of words. The words even embody the coffee grade, other than the region in which they were cultivated. It is further interesting to know that the Caribou coffees are highly noted and valued for their strong taste and aroma. Well, this notable strength is actually a product of the company’s ultimate brewing process which aims to make a brew that possesses the best characteristics. One of today’s prides of Caribou Coffee is their decaffeinated coffee which is 100% caffeine free. This product is produced out of the company’s ultimate steaming and drying process. The coffee beans are actually steamed first to open up the pores of the beans. This is considered to make the beans vulnerable to the solvent that will remove the caffeine. Once steaming is done, the decaffeinated coffee is dried and repackaged. Perhaps what makes the Caribou Coffee decaf is that it is prepared all natural and chemical-free. With all the efforts and dedication, it’s no wonder that Caribou Coffee has topped the list in 2004 edition of Consumer Reports, beating brews from Starbucks and Seattle’s Best.